Warsaw is the large and vibrant capital of Poland with a population well over 1.5 million. This alpha global city is a major tourist attraction and is quickly becoming Eastern Europe’s trendy art, culture and nightlife capital. Warsaw is famed for its chic and restored Old Town, the beautiful and lively Market Square and the Warsaw Mermaid Monument. Cheap flights to Warsaw are now available for a limited period of time, so prepare to uncover the mysteries hidden in this incredibly historic city! Warsaw is home to Warsaw Chopin Airport (WAW) which is a 15 minute drive from the city centre. 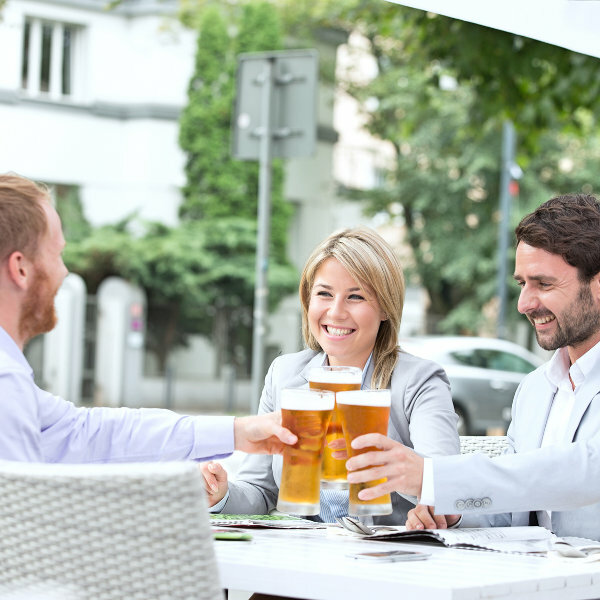 Take an incredible craft beer tour through Warsaw’s many traditional and trendy pubs, or relax at a picturesque café or restaurant where you can enjoy local dishes, like a delicious Polish Pierogi. 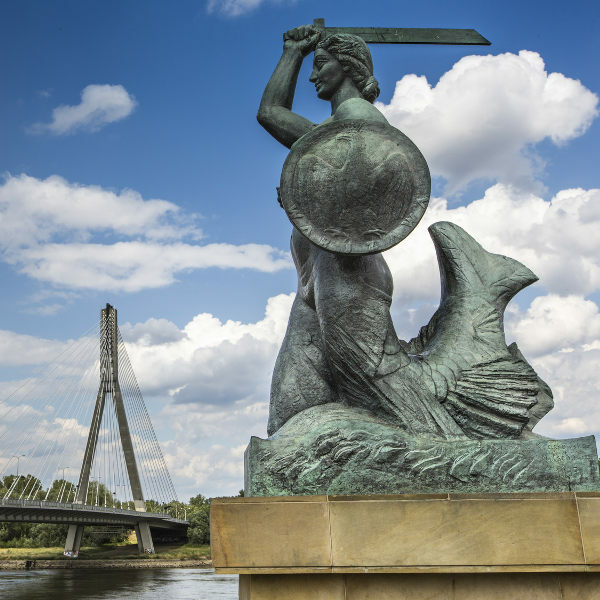 Admire the majestic Warsaw Mermaid Monument, the city’s brave protector, located on the banks of the Vistula River or visit the War Memorial Wall at the famous Warsaw Uprising Museum. The city is home to palaces and fortresses of a variety of architectural designs like the renaissance Warsaw Barbican fortress and the neoclassical Lazienki Palace on the water. Warsaw’s humid continental climate creates cold, snowy winters and warm, sunny summers. The warmer months, between May and October, are the peak tourist months in Warsaw. The warm temperatures, especially during July and August, are perfect for sightseeing and exploring popular attractions like the Royal Route or the beautifully restored Old City. Between September and April, temperatures drop and the city is less crowded, but this vibrant city keeps its energetic artistic and cultural tempo. The new, modern side of town has a multitude of art galleries and museums to explore and the annual Warsaw film festival takes place in October. This is also a great time to save money as it is low travel season in Warsaw and air fares, accommodation and general costs will be lower. Warsaw, the large and vibrant capital of Poland, is a major tourist attraction and quickly becoming Eastern Europe’s trendy art, culture and nightlife capital. This alpha global city is famed for its beautiful, restored Old Town, lively Market Square with its picturesque restaurants and cafés. Explore incredible architectural monuments scattered throughout the city, like the Barbican Fortress and the gorgeous Lazienki Palace. The majestic Warsaw Mermaid Monument on the banks of the Vistula River and the War Memorial Wall at the famous Warsaw Uprising Museum are reminiscent of the city’s rich and vast history. 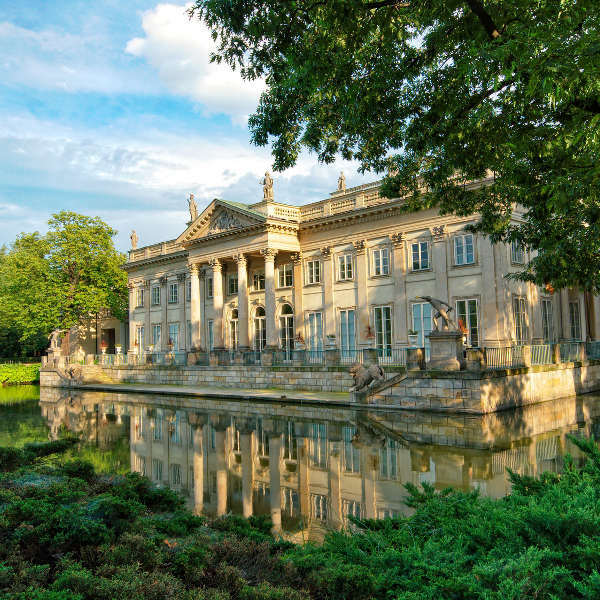 Take a stroll through the beautiful Lazienki Park that leads to the Royal Palace, Wilanów Palace and the Lazienki Palace on the water. Beer fanatics, can join a Warsaw craft beer tour and delight in the distinct flavours of local beers at various pubs. The Old Town hosts numerous art galleries and picturesque cafes to get lost in. Once you have exhausted your energy, take a break at one of many inviting restaurants where you can enjoy a famous Polish Pierogi or for cheaper prices find a traditional milk bar where affordable yet delicious soups and other dairy-based dishes are served. Compare several airlines, and book your cheap flights to Warsaw online with Travelstart! Make sure your routine vaccines that include the MMR vaccine, DPT, Chickenpox, Polio and yearly flu shots are updated before travel. Most travellers are advised to get the Hepatitis A vaccine. There are no specific vaccine requirements or health issues in Poland, however it is best to practise safe hygiene and avoid drinking tap water. Warsaw is a safe city but you should still practise normal safety precautions. Keep your valuables and important documentation safe and watch out for petty crimes like bag-snatching or pick-pocketing. The 175 bus route that operates from the airport to the city centre is notorious for these crimes. Avoid unsavoury areas, especially at night or when alone, and try not to get into any confrontations with locals.